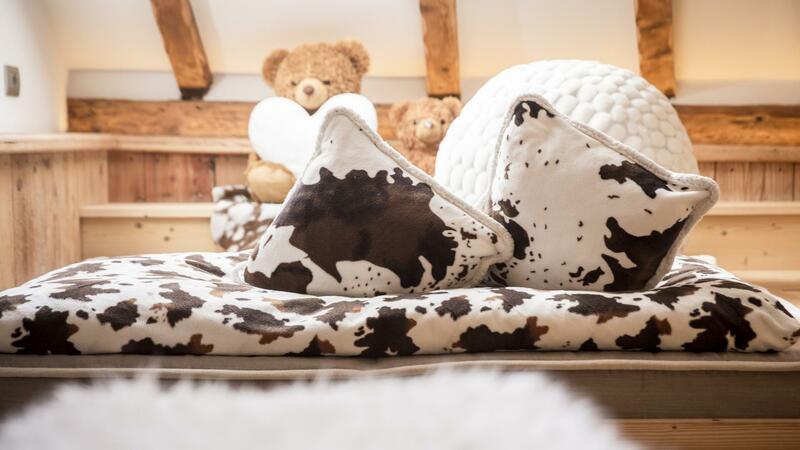 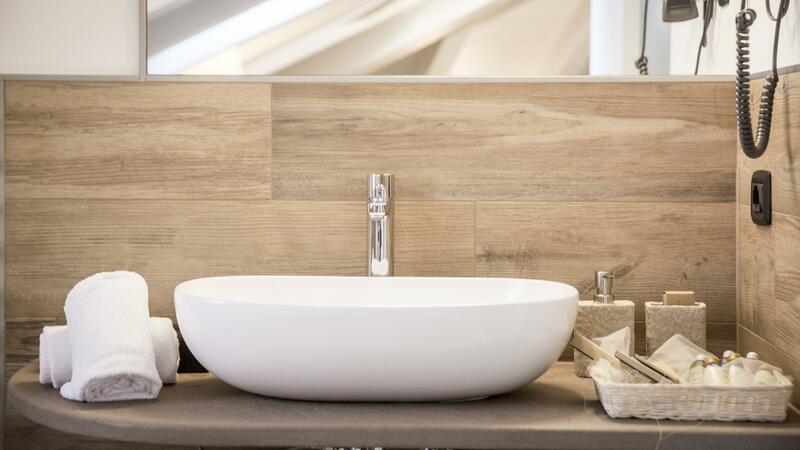 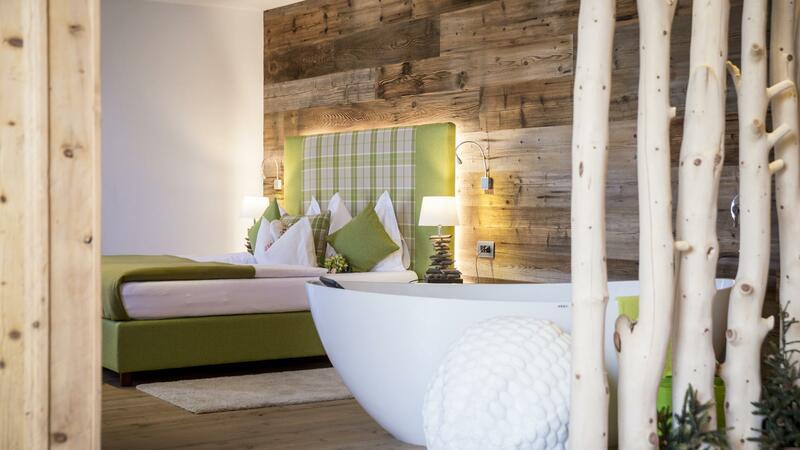 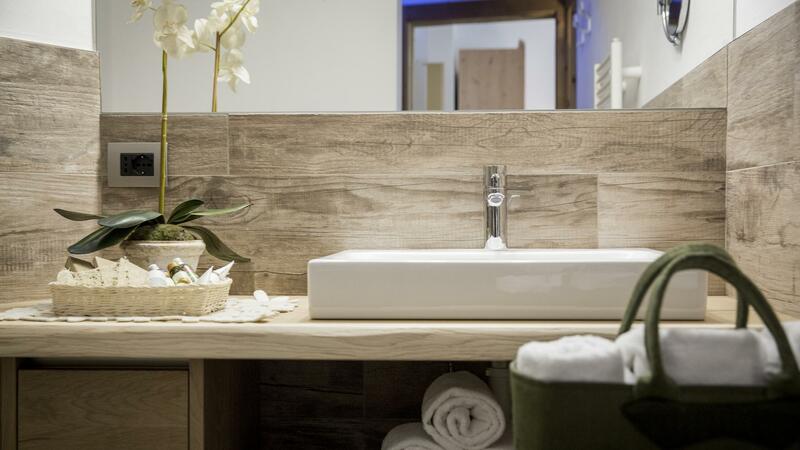 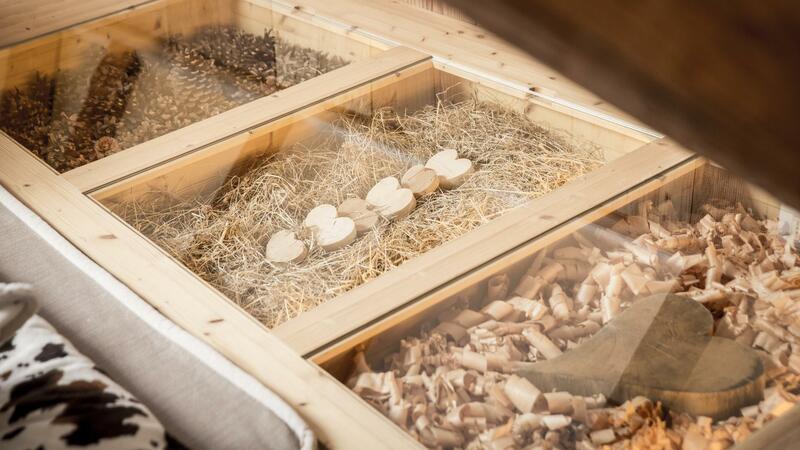 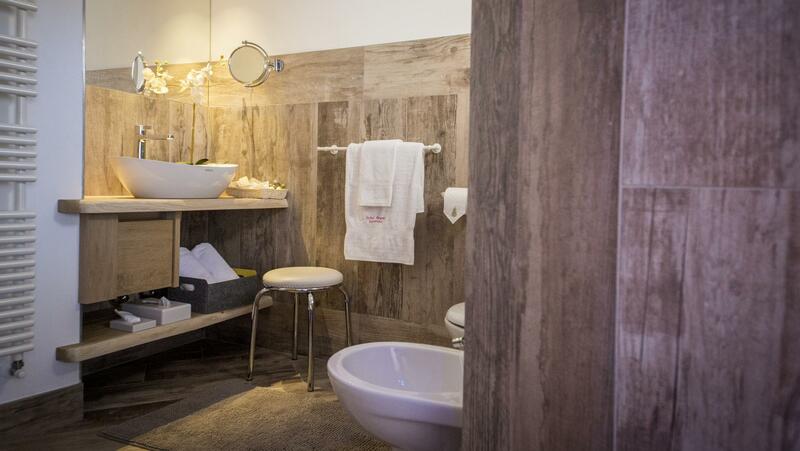 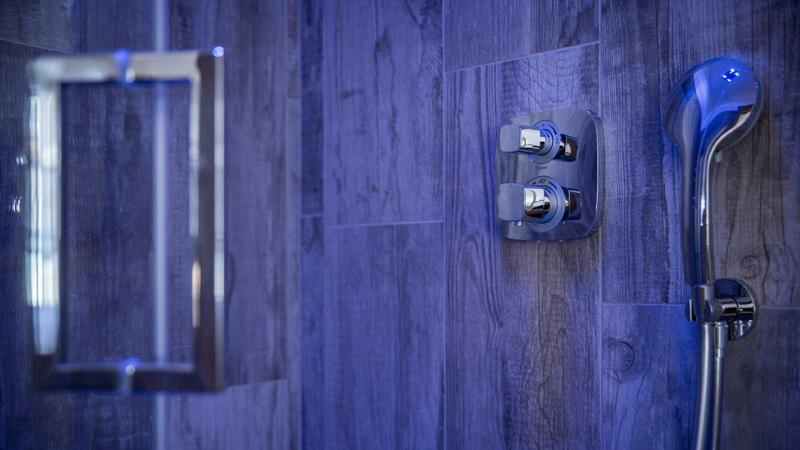 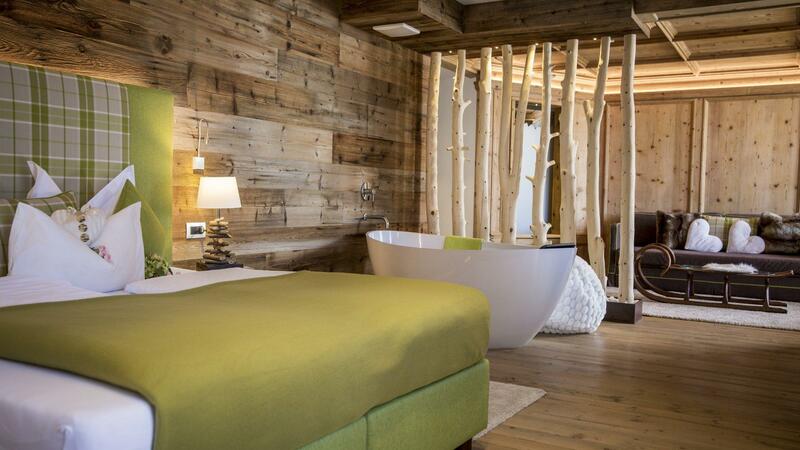 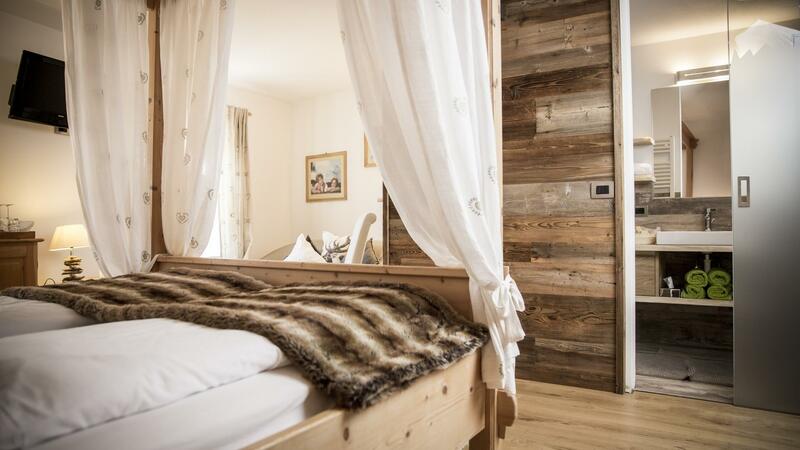 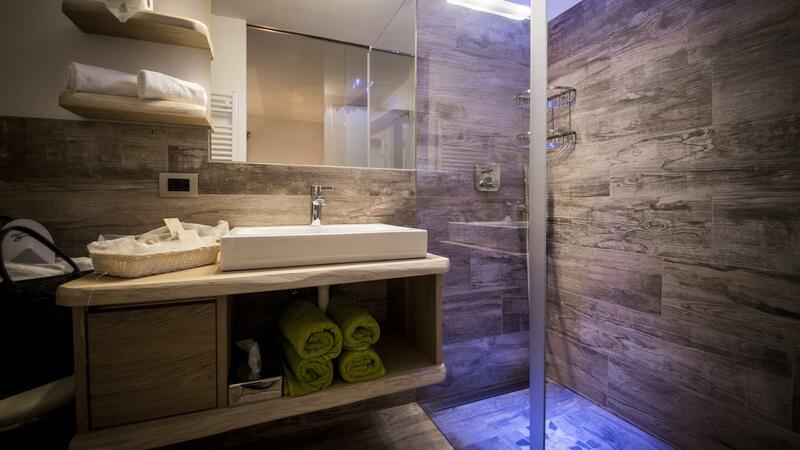 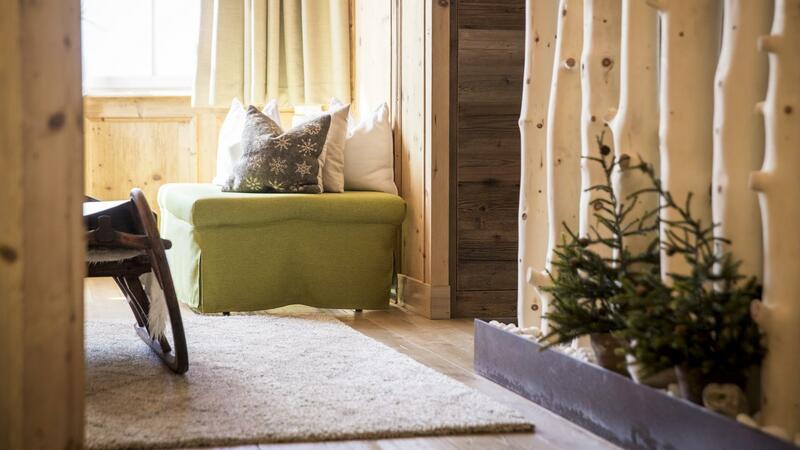 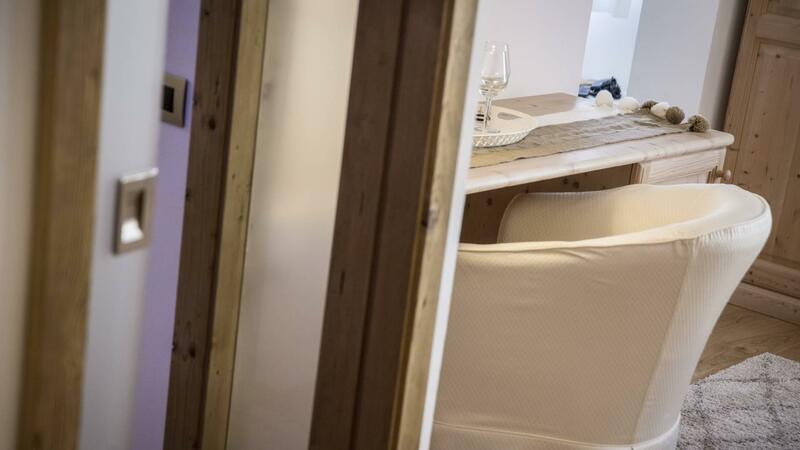 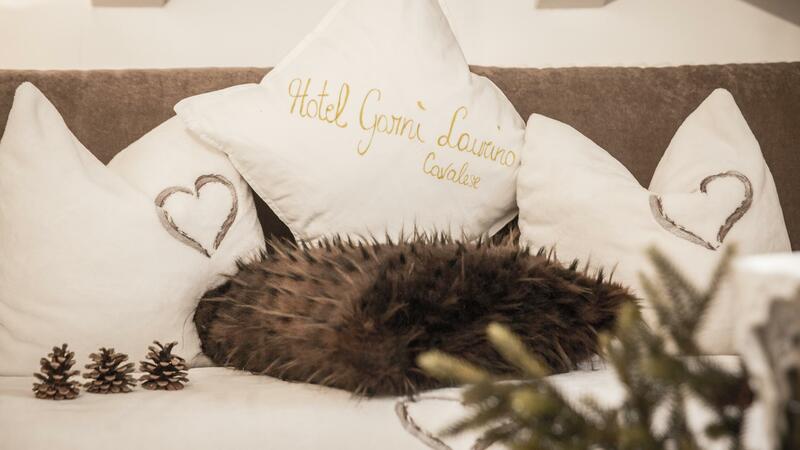 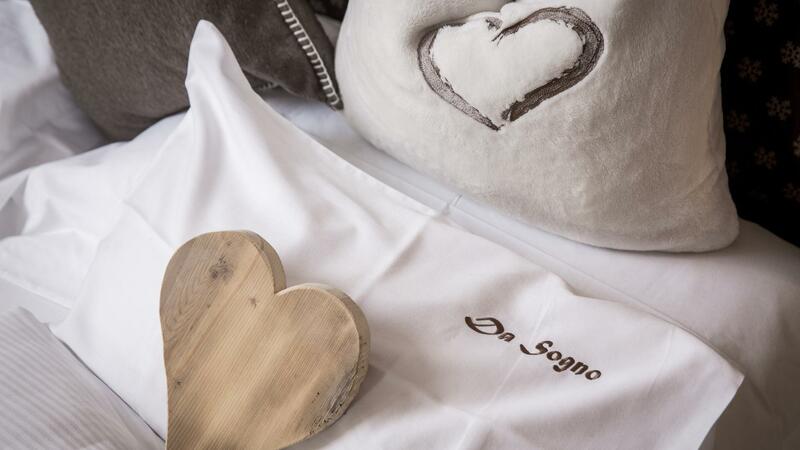 A Hotel in Cavalese where sweet dreams come naturally... By using timber from the Val di Fiemme and keeping a modern and simultaneously alpine style, we wanted to create a relaxing and harmonious atmosphere for our rooms, suites and apartments. 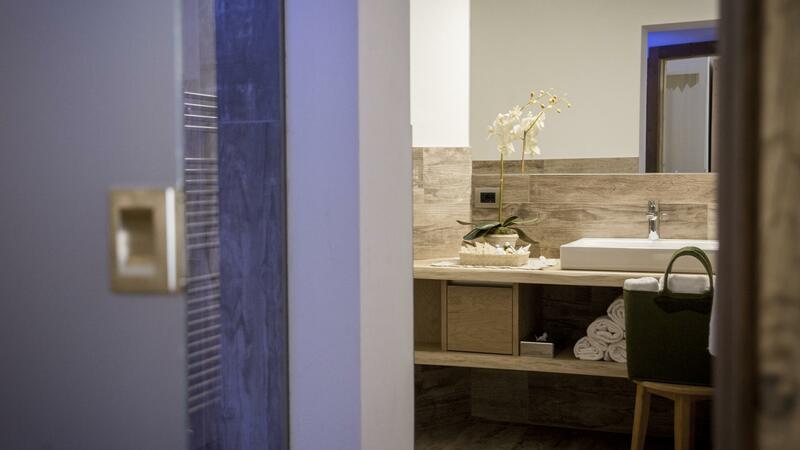 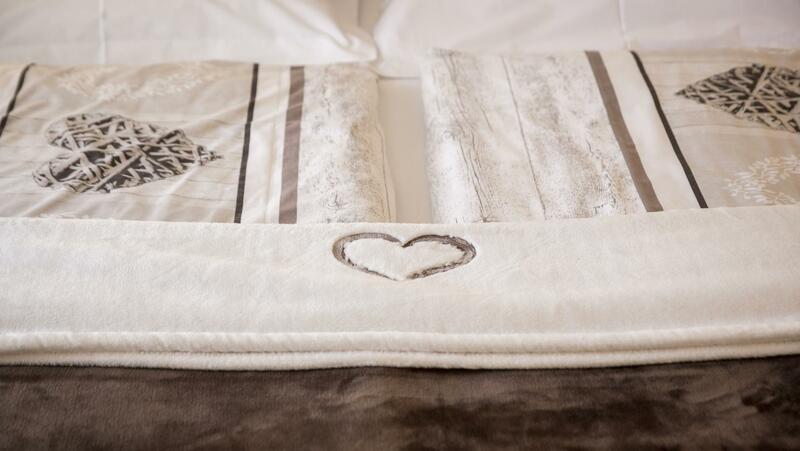 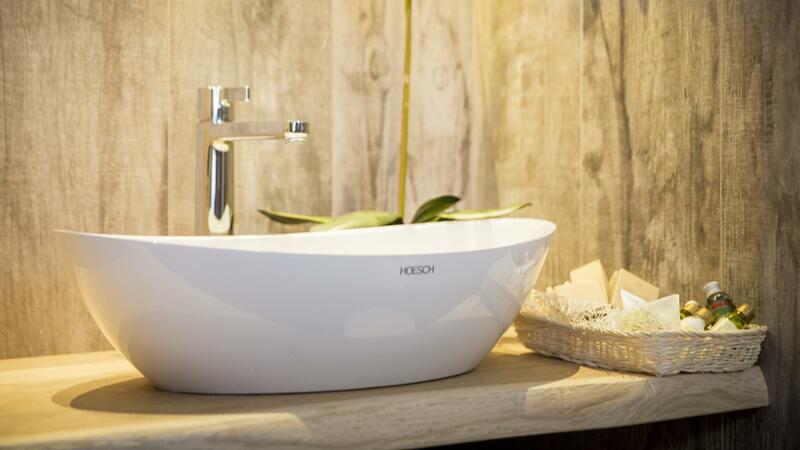 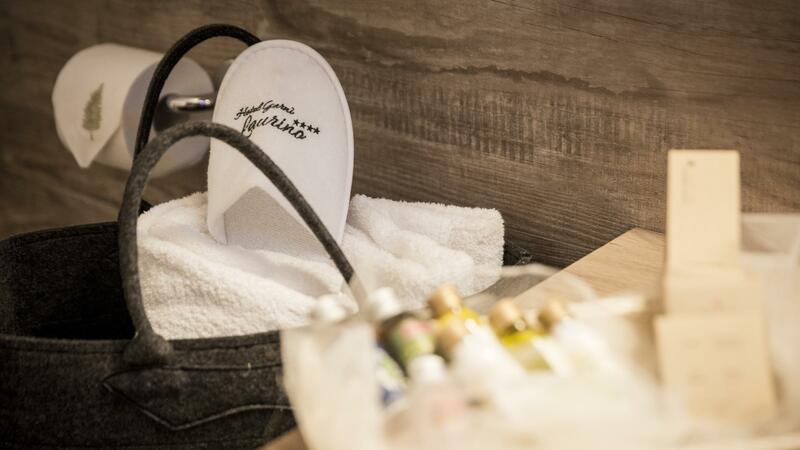 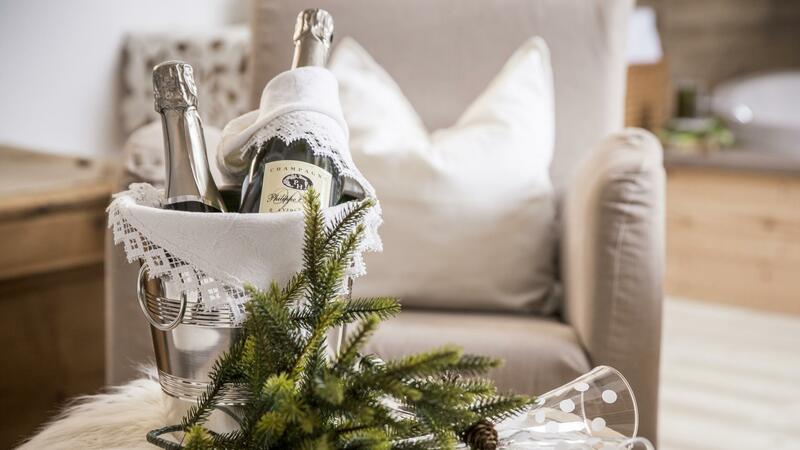 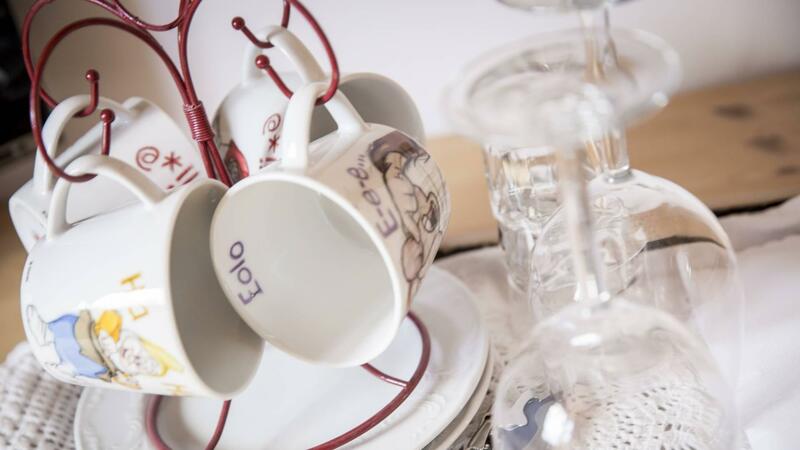 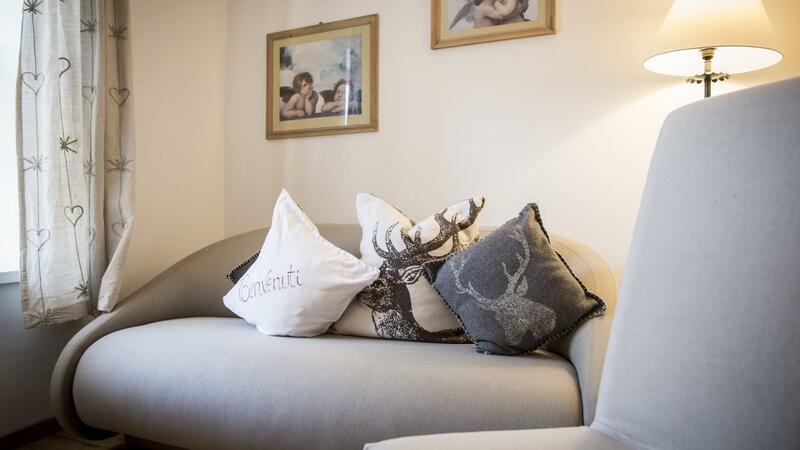 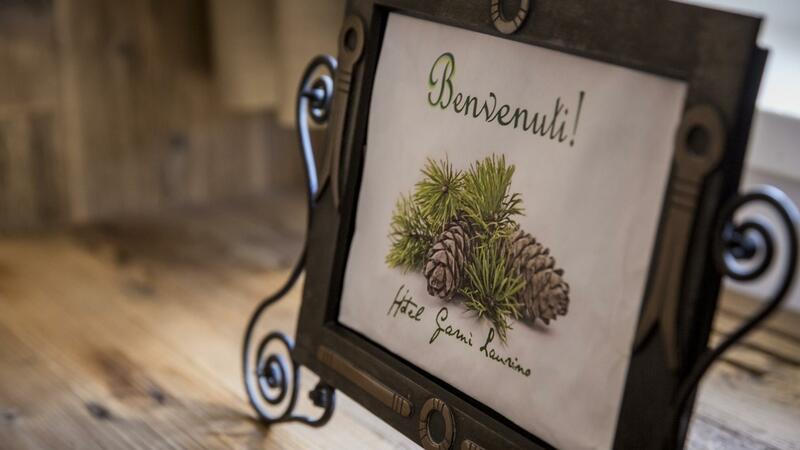 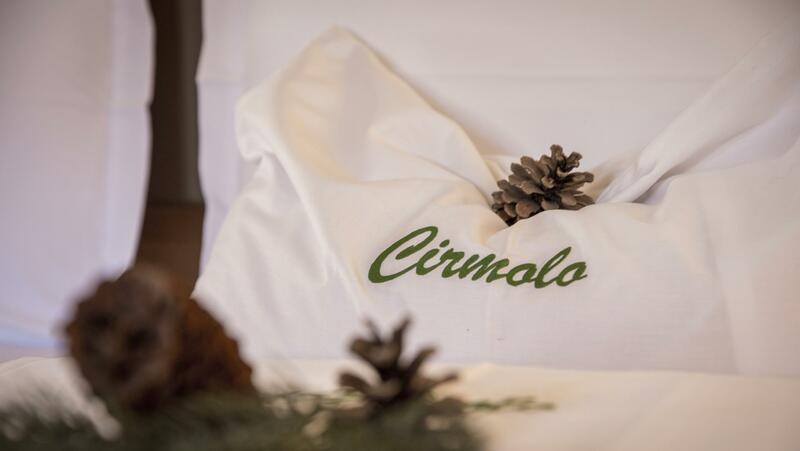 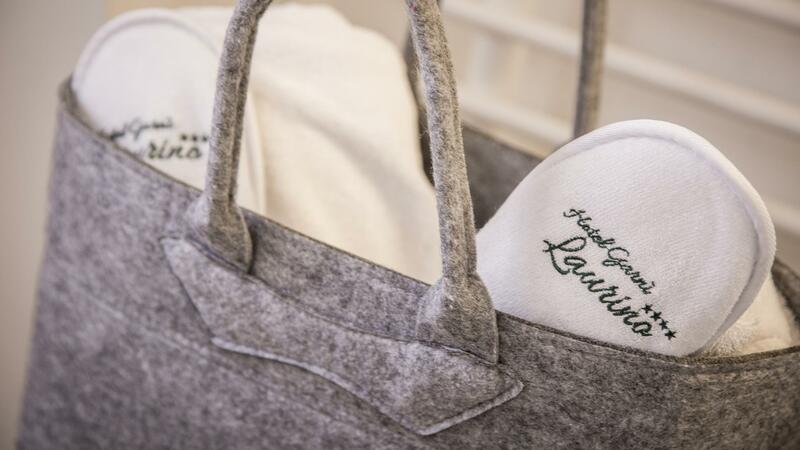 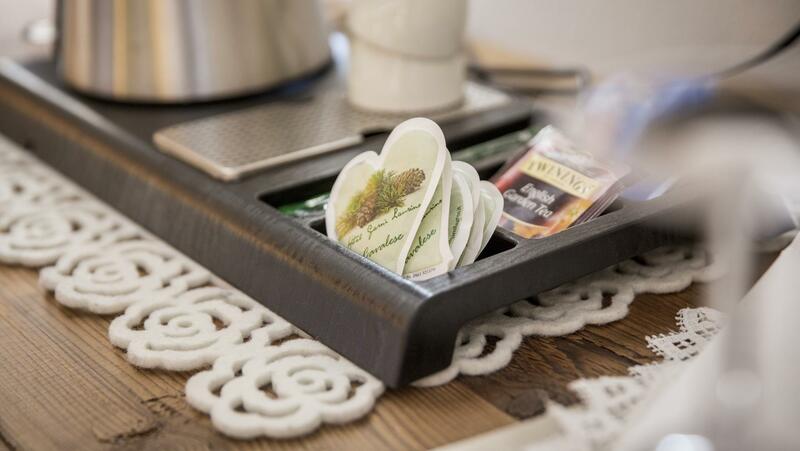 Equipped with all the comfort and attention to every detail, you will be welcomed by their warm tones as you experience an invigorating stay in Val di Fiemme of complete relaxation. 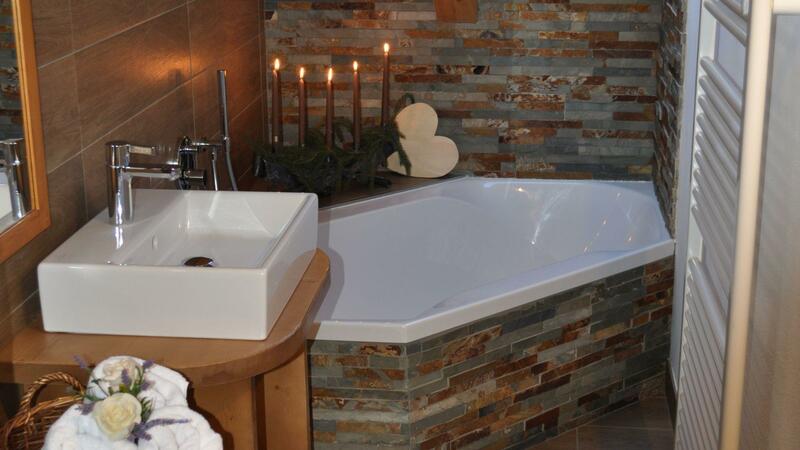 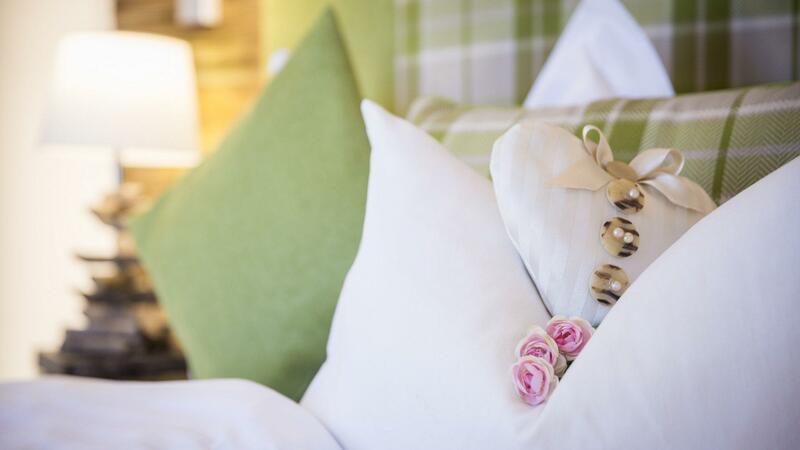 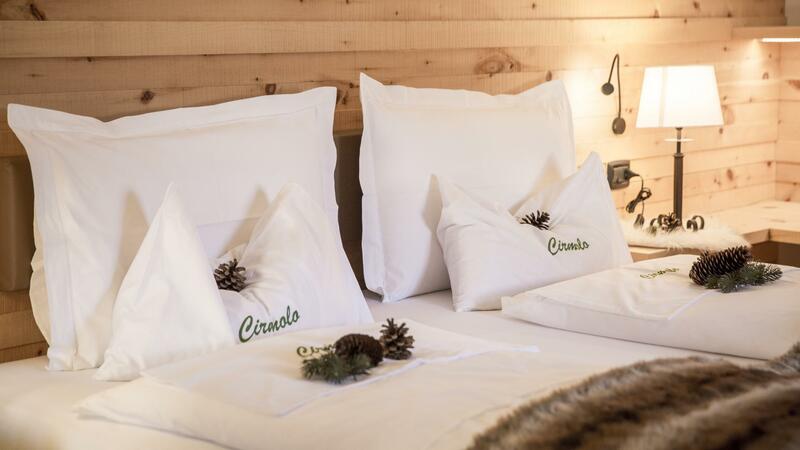 Choose one of our scented, natural suites for a romantic break in our hotel in Cavalese. 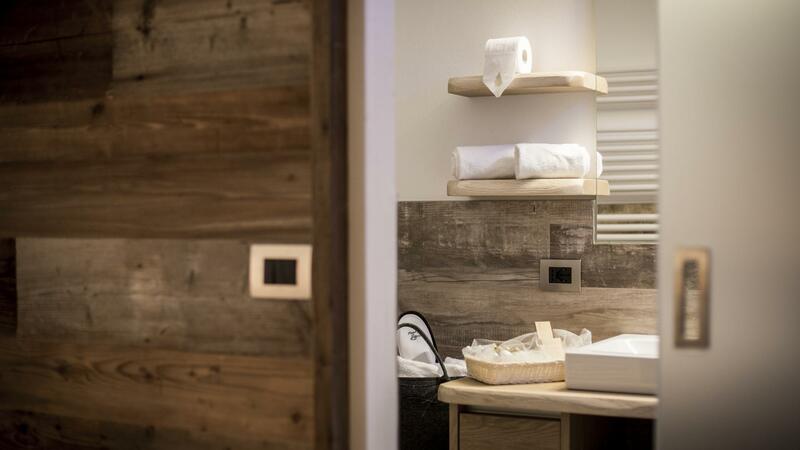 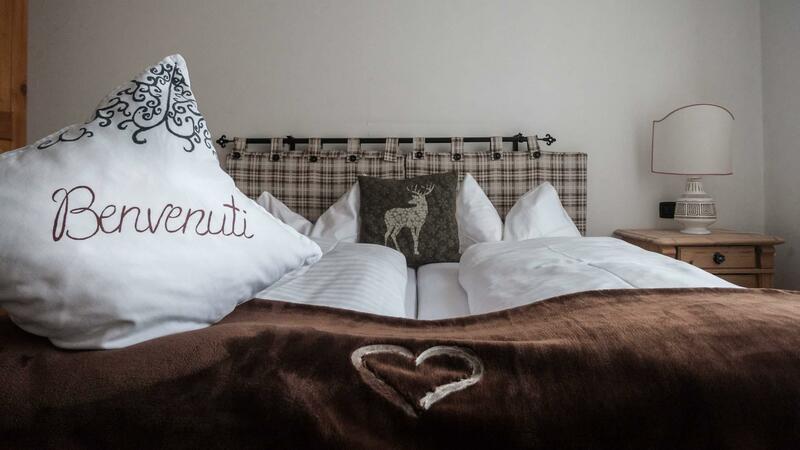 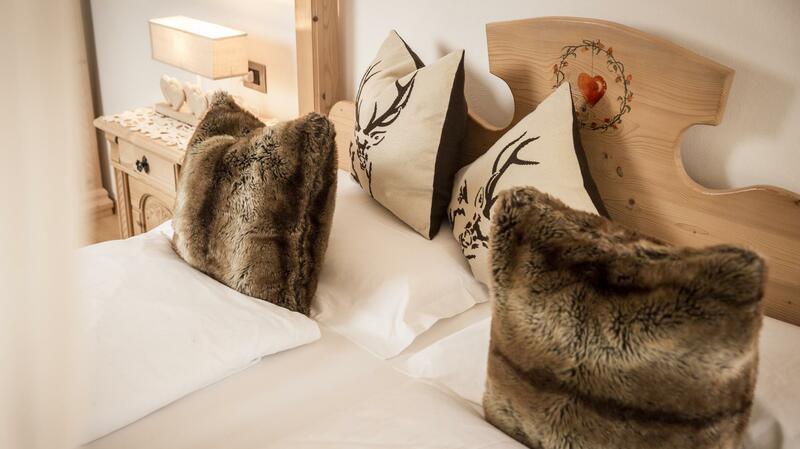 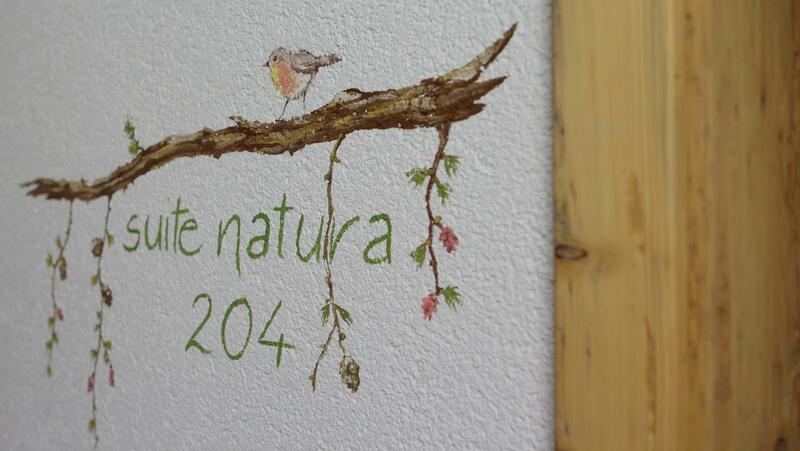 Intimate and welcoming, our junior suite are furnished with natural materials for you to enjoy a relaxing break in the Trentino Dolomites. 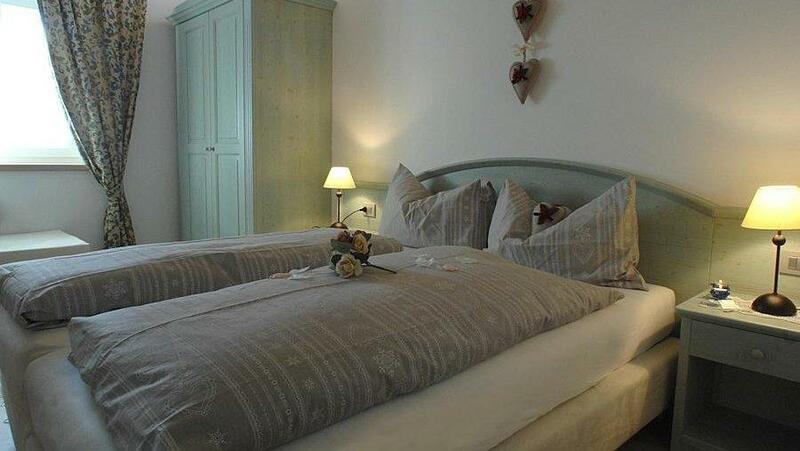 Charming double room paneled with antique larch and a spacious bathroom with chromo therapy-shower. 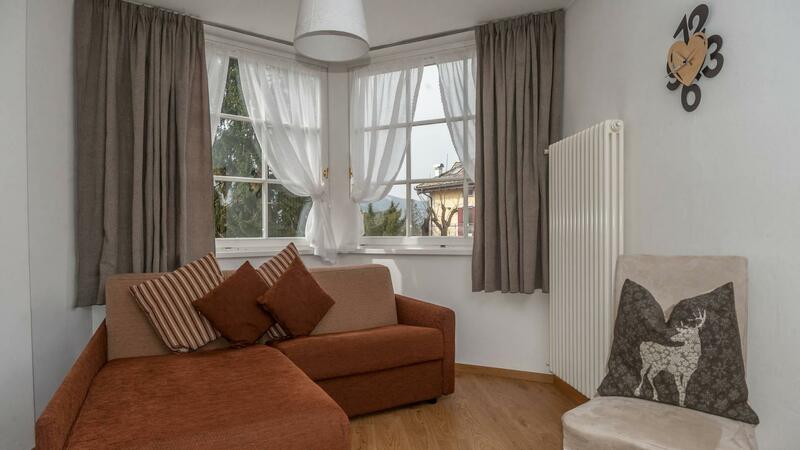 2 double rooms with double bathrooms, one with balcony garden view and the other one with bright bow window. 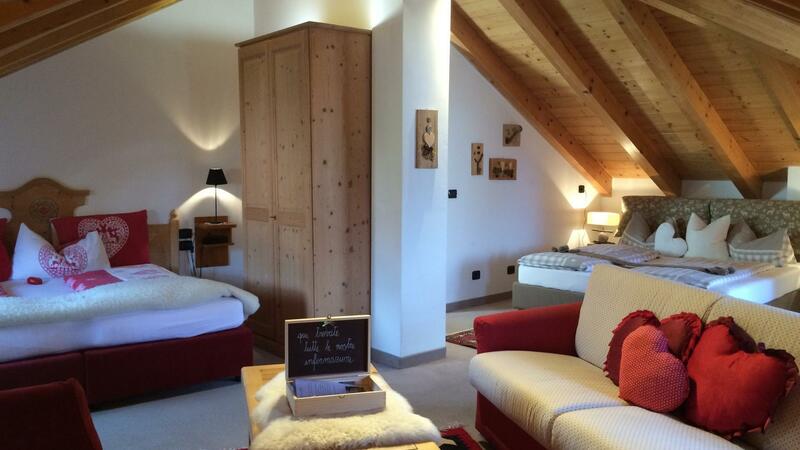 Double room with antique vault ceiling. 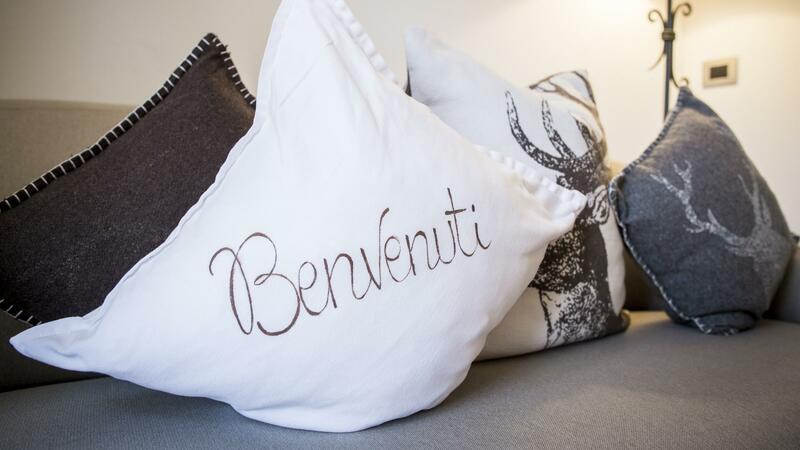 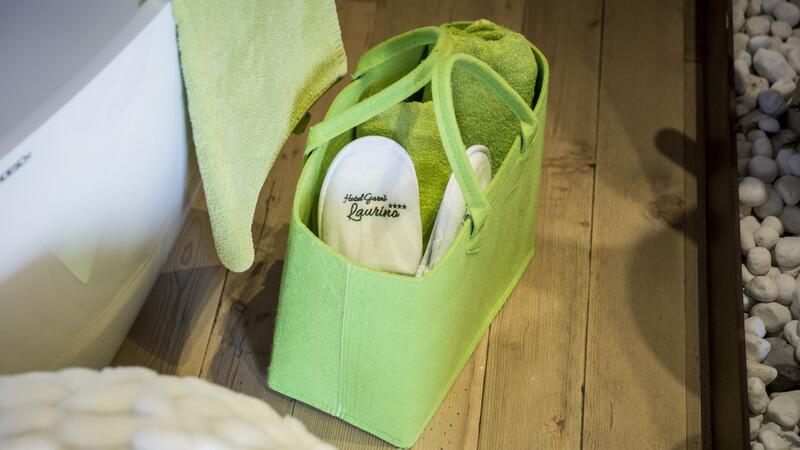 For guests requiring a kitchen, we have comfortable apartments next to the hotel with all of our services included. 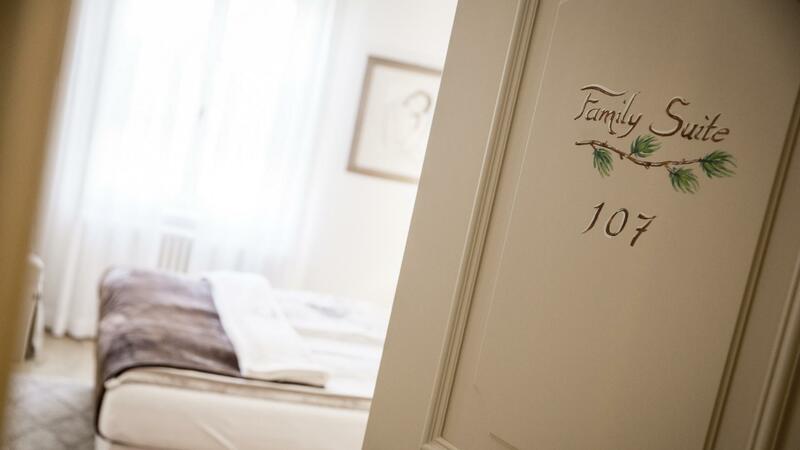 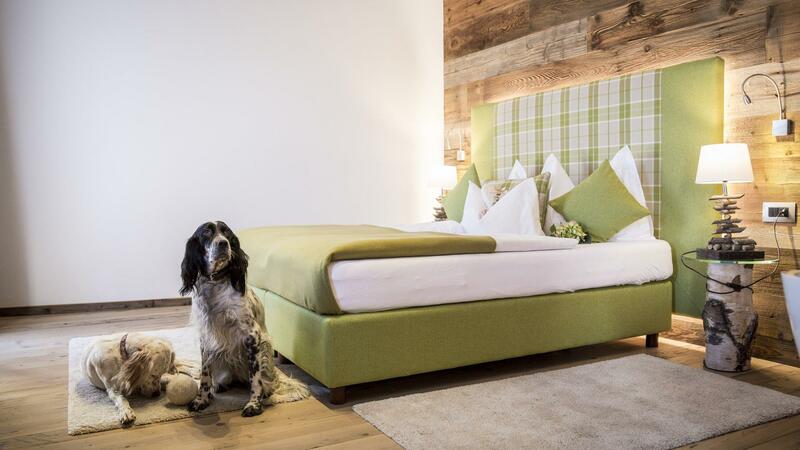 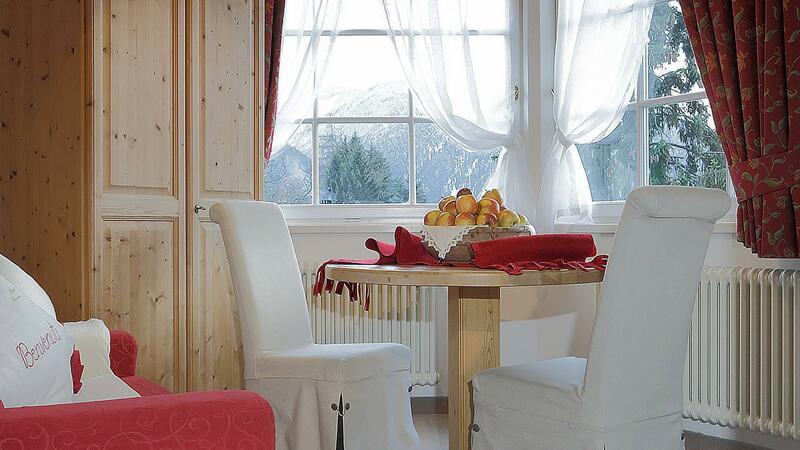 Light, spacious with prestige upholstery our Fiemme Suite has everyhing you could desire. 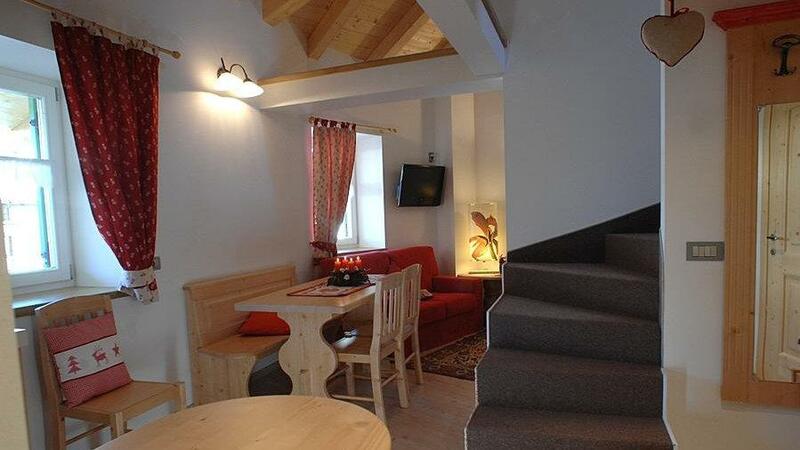 Ideal accommodation for families with two rooms and typical bunk bed. 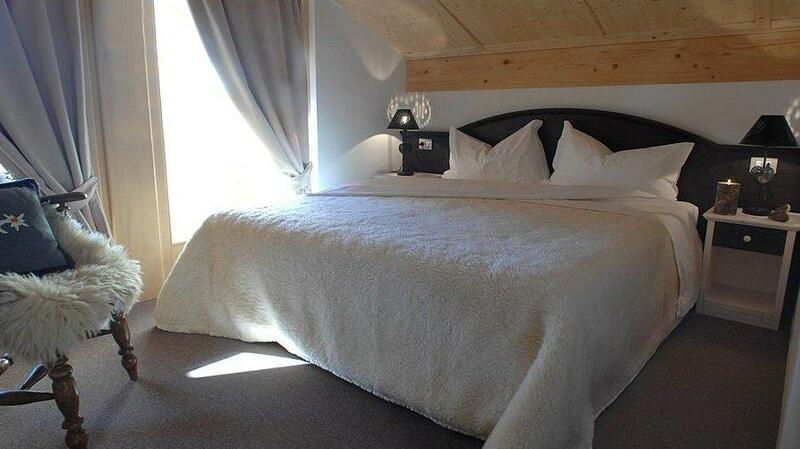 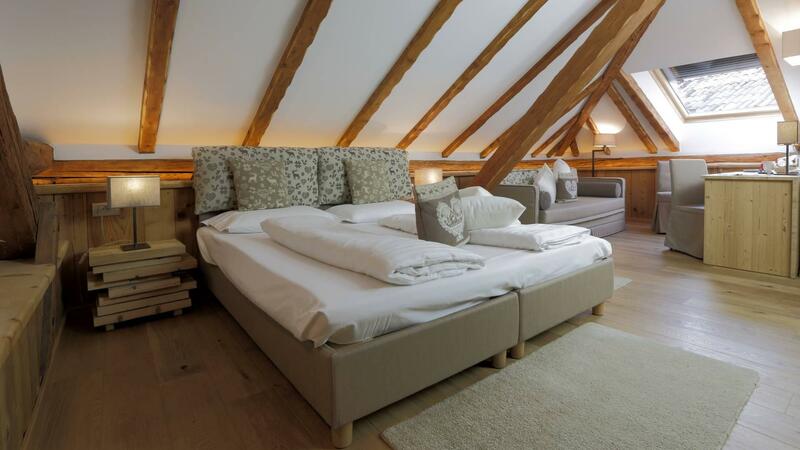 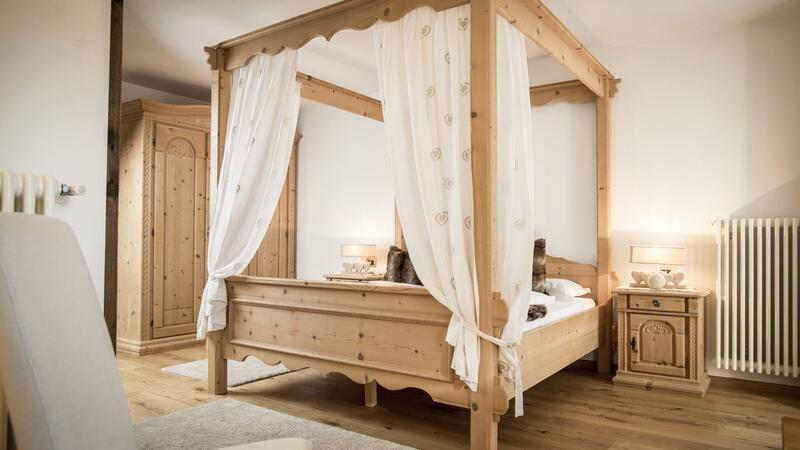 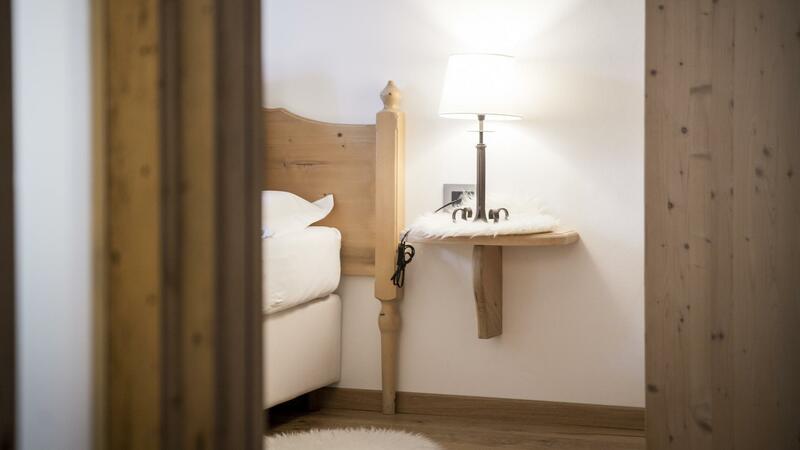 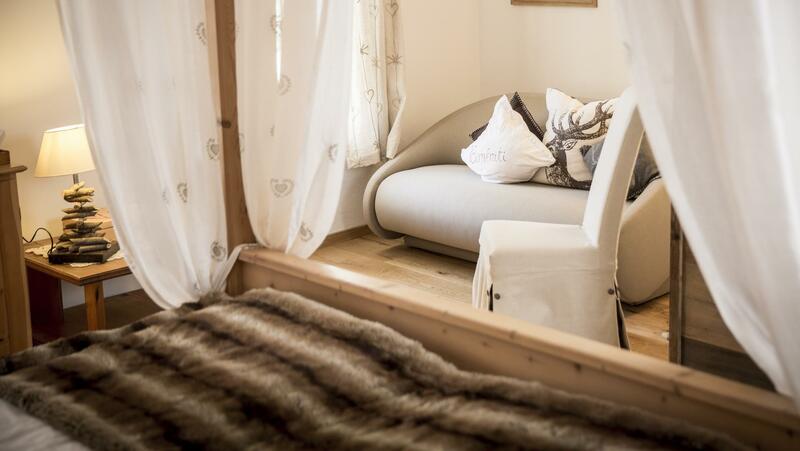 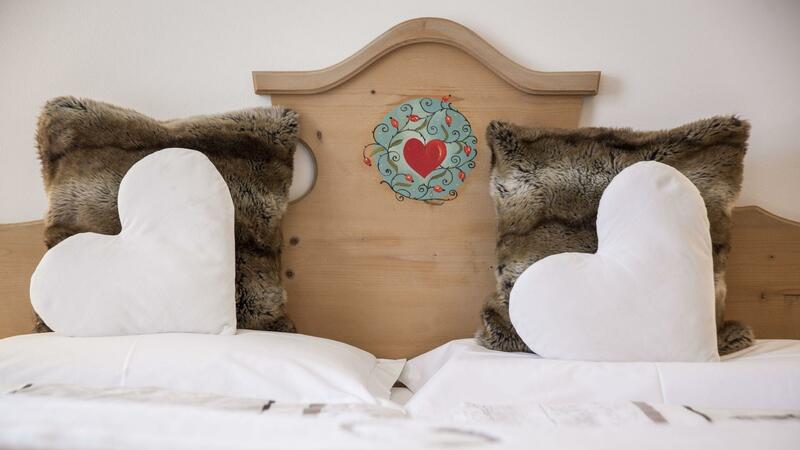 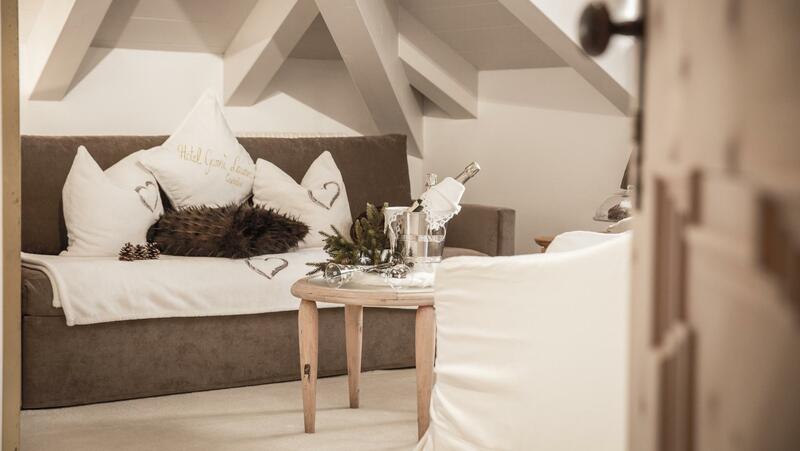 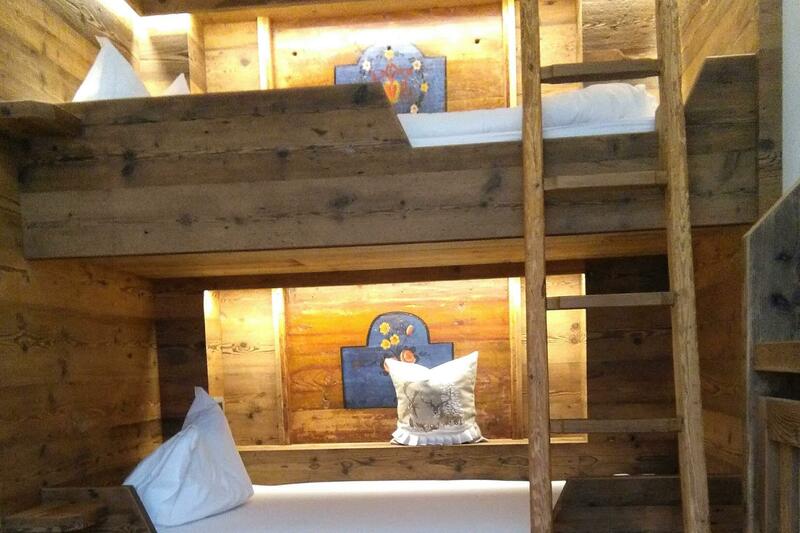 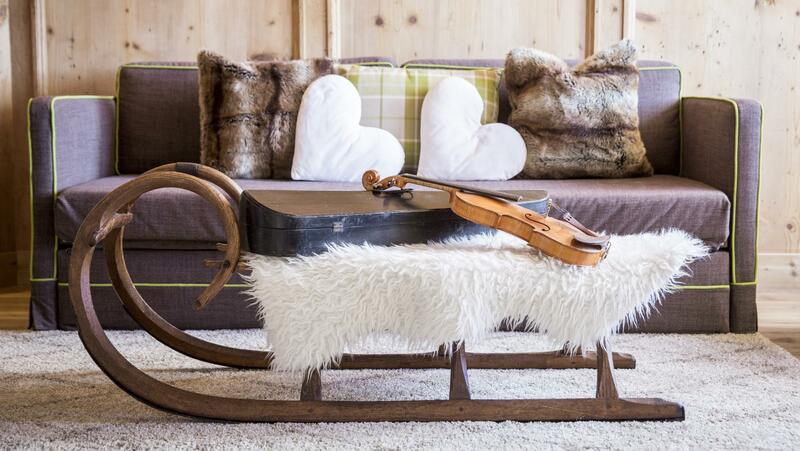 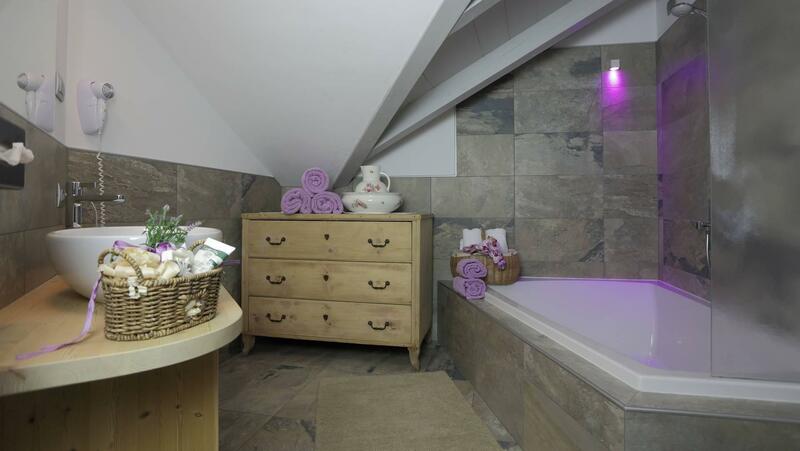 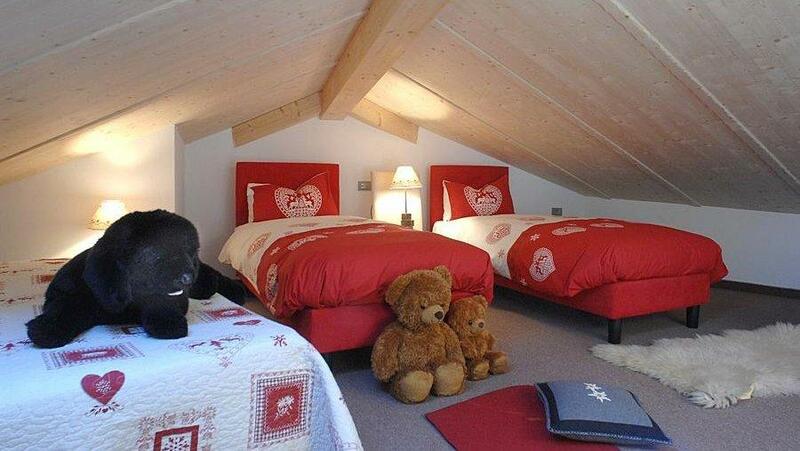 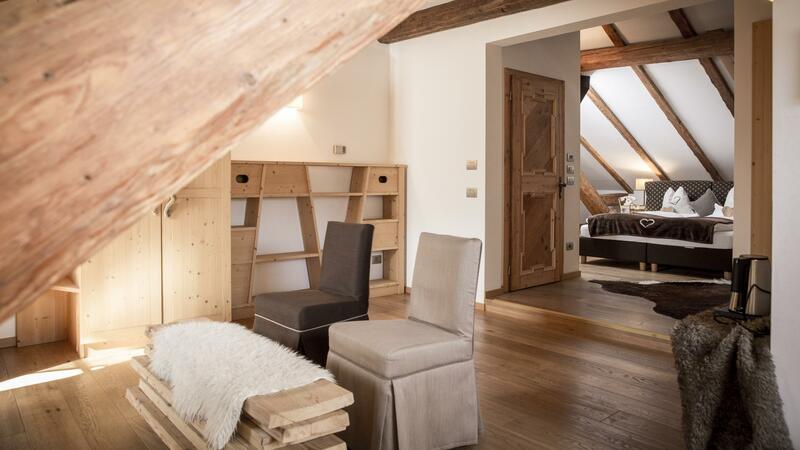 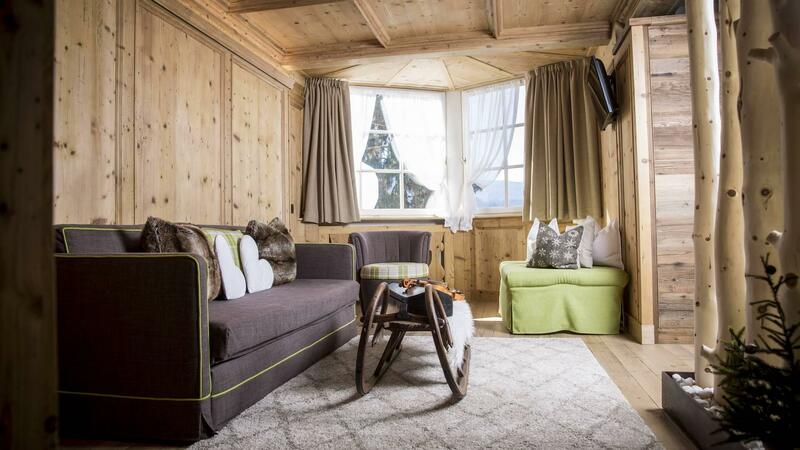 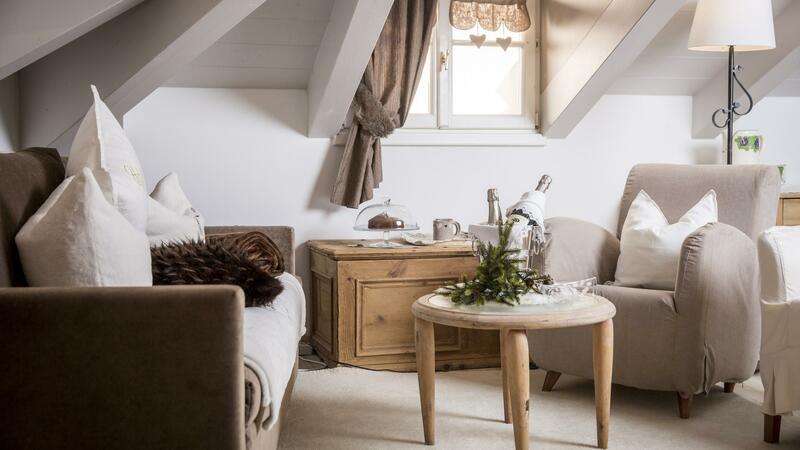 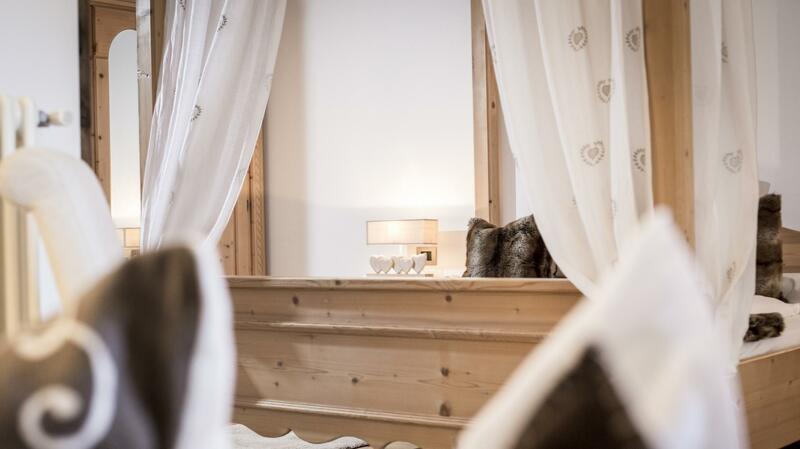 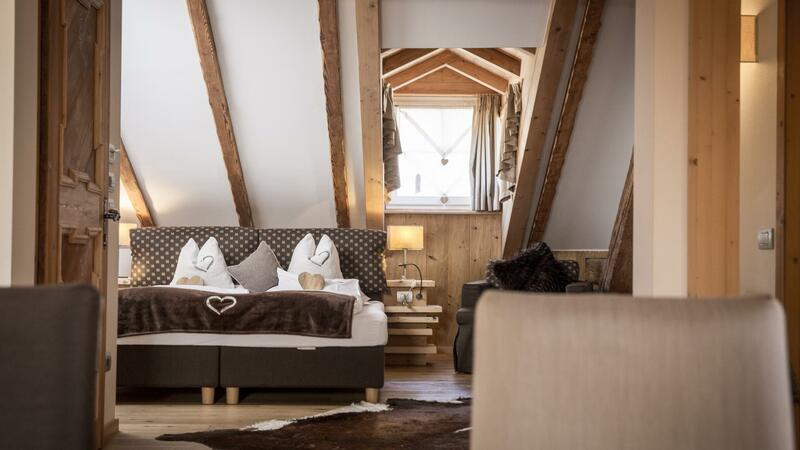 Relaxing attic Junior Suite with pine fittings from Val di Fiemme for good sleeping and relaxation. 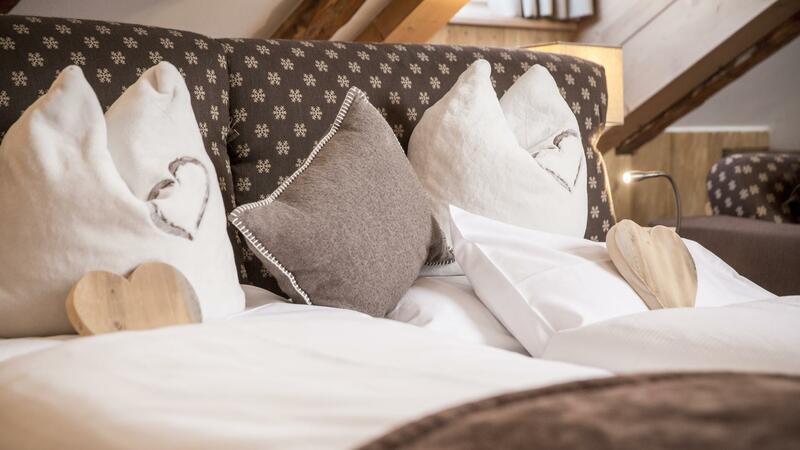 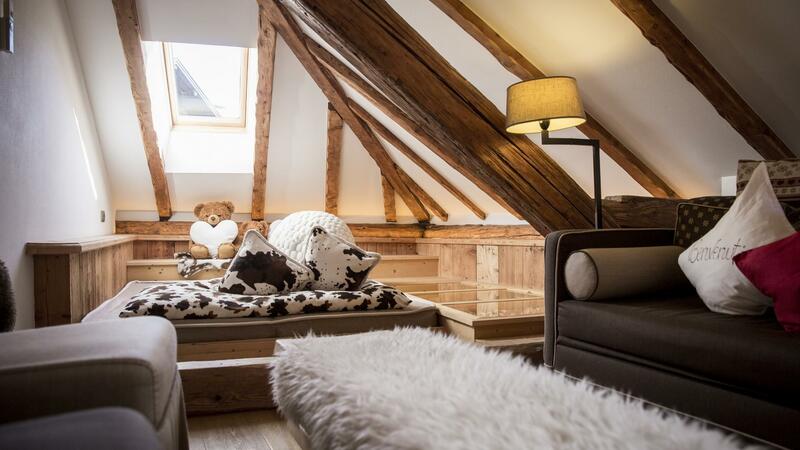 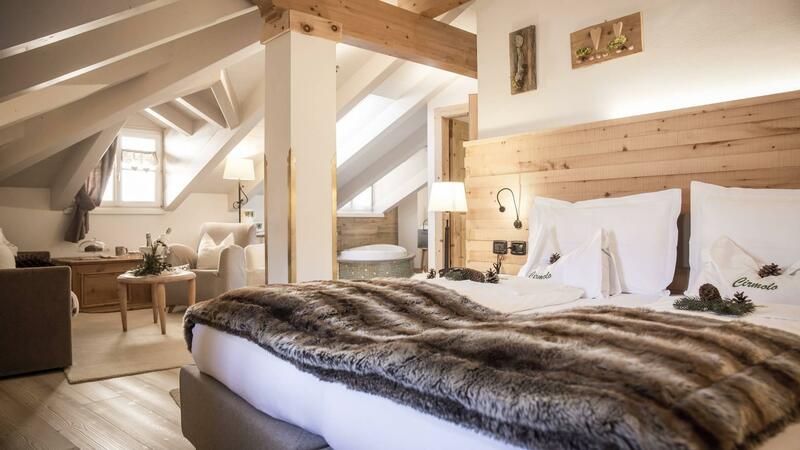 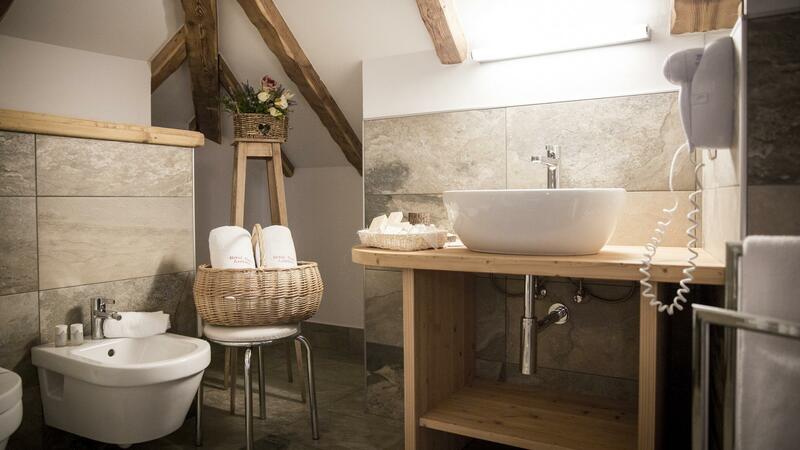 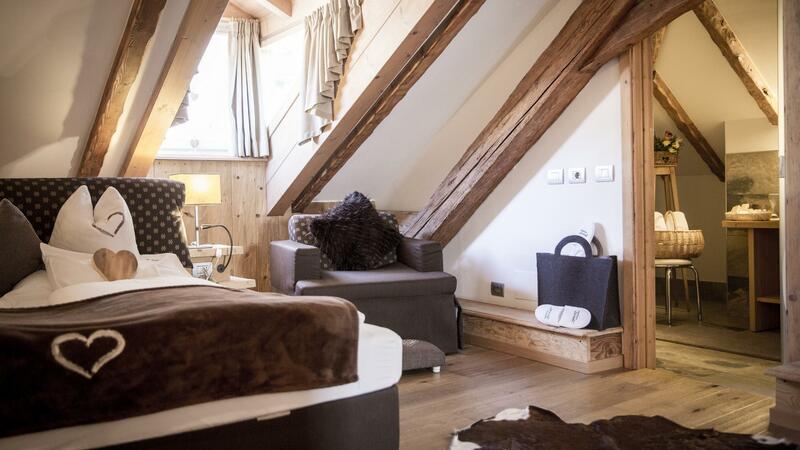 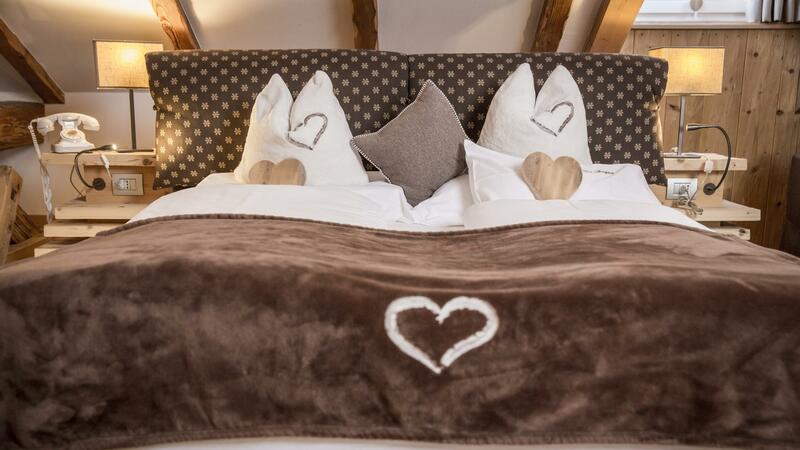 Attic junior suite with antique beams and large bathtub for two people. 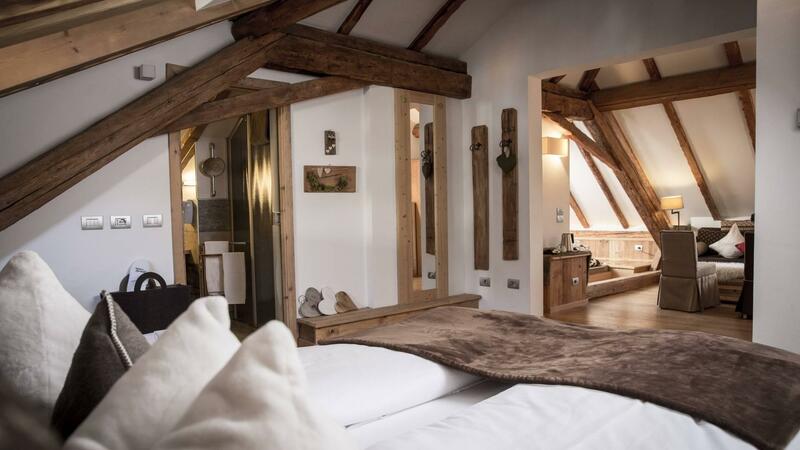 Romantic Junior Suite with four-poster bed, linen drapes and view of the night sky. 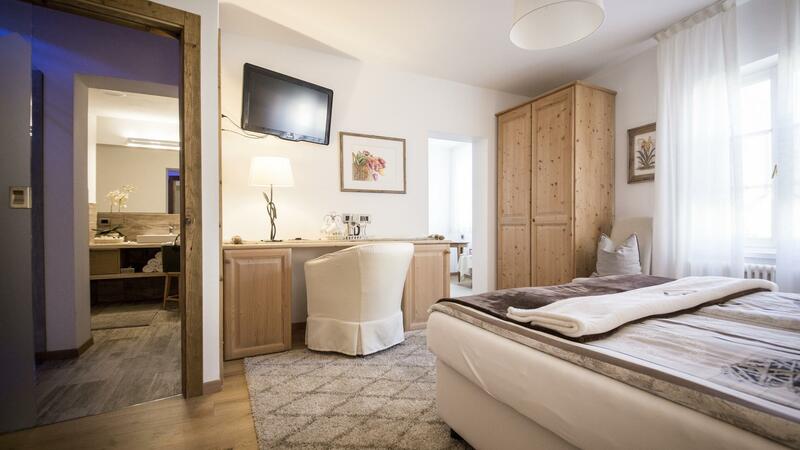 Apartment Suite in hotel. 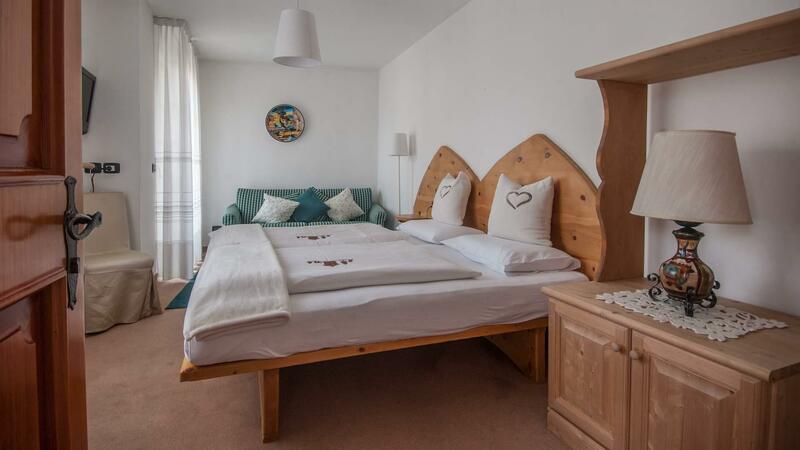 Comfortable, spacious and bright apartment with 4/6 beds with two separate rooms and comfortable sofa bed. 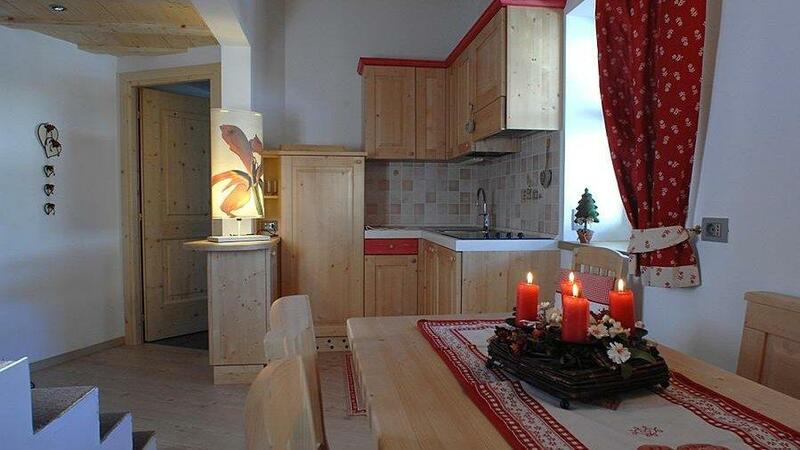 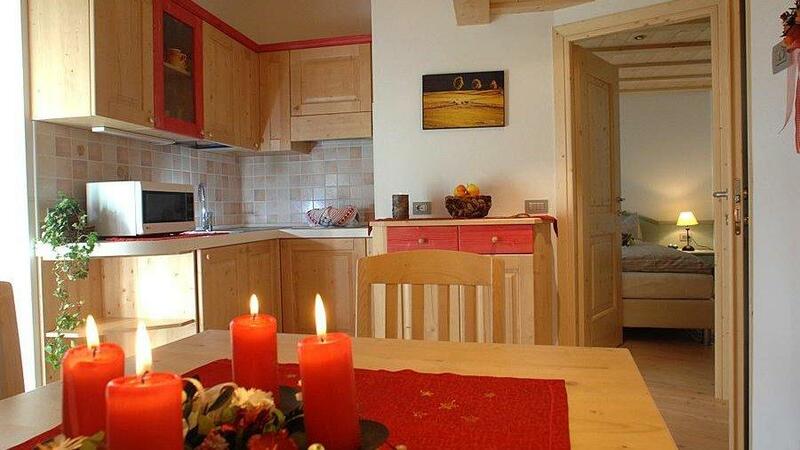 A charming apartment on the 2nd floor of the annex, 40 metres from the main hotel building. 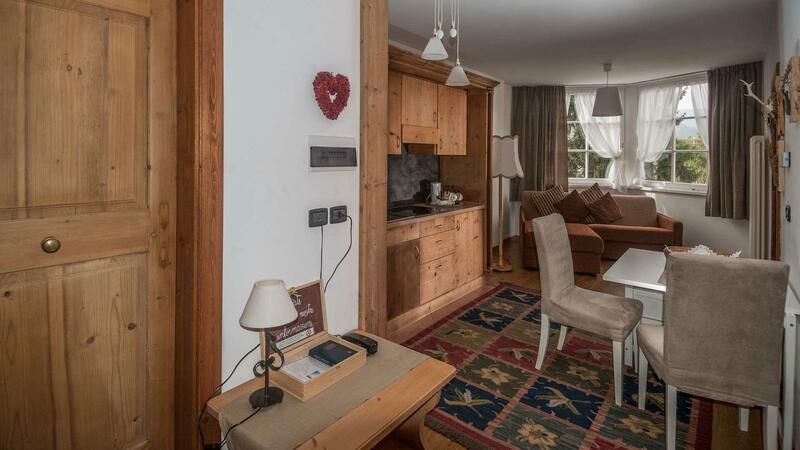 A spacious apartment on the 2nd floor of the annex, 40 metres from the main hotel building.